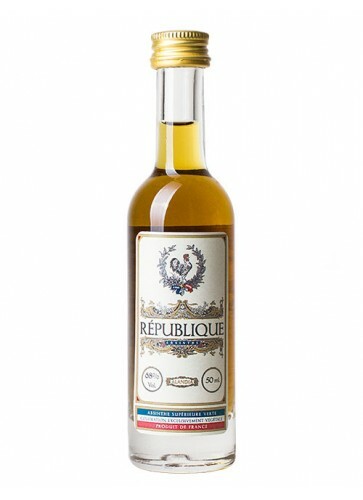 Absinthe République Vintage is distilled in France. Its recipe is based on a traditional herbal composition including green anise, fennel, wormwood and coriander seeds. 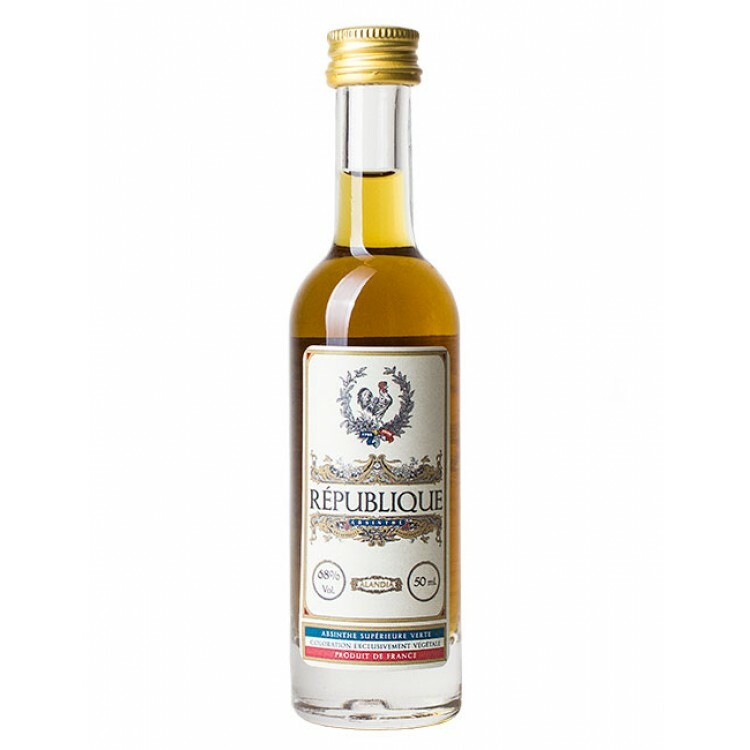 Absinthe République Vintage is distilled in France. Its recipe is based on a traditional herbal composition including green anise, fennel and of course wormwood. But Absinthe République uses as well a special ingredient, coriander seeds. You will experience a nutty, slightly fresh note, perfectly matching the aromas of fennel and anise. Wine alcohol is as well used as a base. This gives this Absinthe a slight Cognac smack. This Absinthe Mini is as well available in the complete ALANDIA Absinthe Sample Set.